WavesGear is offering Jezebel readers a 50% discount on the perfect accessory, their extra-large Micro-fiber towel, now only $15. Use promo code MT50JUL on the second page of checkout. Towels are an obvious necessity, but this extra-large micro-fiber towel is particularly versatile, offering more functionality than the everyday cotton towel. 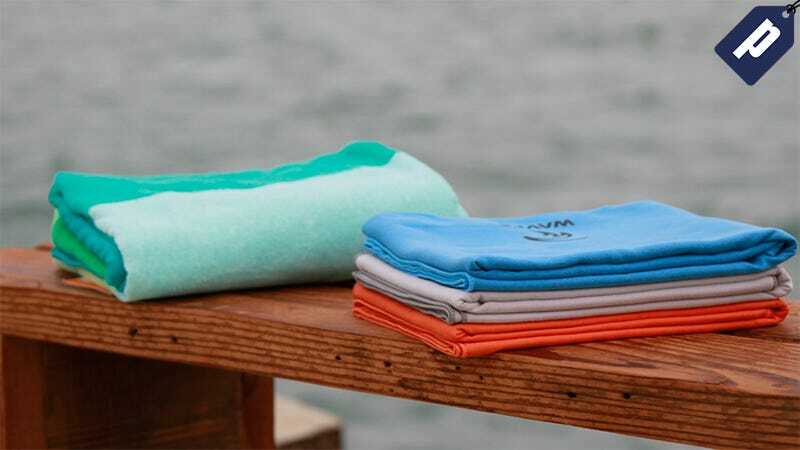 Specifically, the innovative towel dries twice as fast and takes up 78% less space compared to a cotton towel, all while covering more surface area and easily fitting in your gym bag, backpack, or carry-on. Choose the extra-large (36”x 60”) towel for just $15, available in blue, grey, orange, berry, green, and yellow. Get yourself the most versatile towel and enjoy the perfect accessory for your new endeavors. Use promo code MT50JUL on the second page of checkout.